Ready to try a new twist on your breakfast parfait?! Enter the new Peanut Butter Parfait with the high protein super grain… Amaranth! Yum! I know – just say it with me. Don’t hold back, I won’t tell your friends you actually WANT to eat amaranth! This concoction I’m calling the protein powerhouse Peanut Butter Parfait actually came to life after I won an Instagram contest. I rarely win anything, so when I received a sample of the latest puffed amaranth innovation I was head over heels. This month The Recipe ReDux challenged us to come up with a new breakfast delight to “break out of breakfast boredom!” Although I had intended to submit a whole wheat version of The Spicy RDs latest and greatest Lemon Cranberry Scone recipe, I had to put those plans on hold and see what I could whip up with my amaranth. 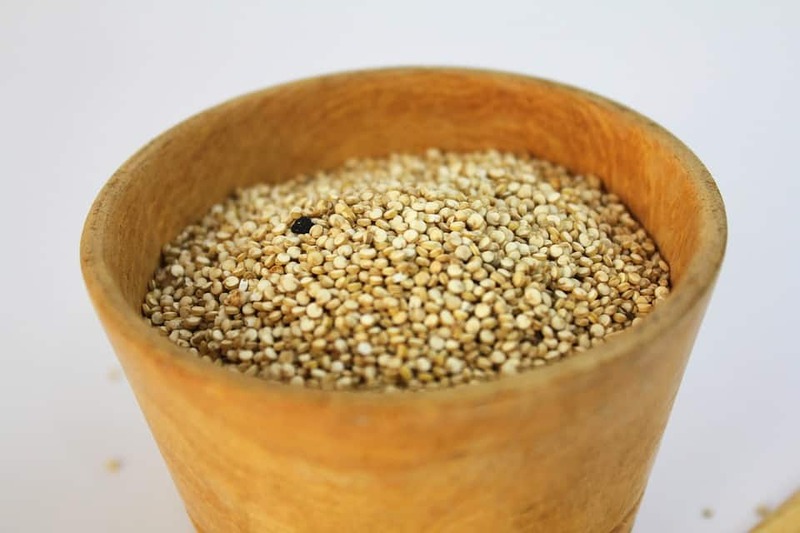 Puffed amaranth is a light and earthy ancient grain that is super nutrient dense (aka full of nutrition). A large heaping of this gem has just under 100 calories, over 8 grams of complete protein and nearly 5 grams of fiber. It’s also gluten free and vegan! Talk about a POWERHOUSE! Just look at it, it’s so tiny, so cute, but so powerful! Since I’m currently swooning over yogurt for breakfast, I decided to combine my other love, powdered peanut butter, to create the new Shaw’s Simple Swaps Peanut Butter Parfait. This is literally a no brainer when it comes to cooking. Seriously, no skills required. No prep time. #Realtalk, the easiest thing in my breakfast arsenal! Oh and another great thing about this recipe is that it holds well! The amaranth can easily be transported on the bottom of the parfait without losing its crunchy, light texture if you prep it at home to eat at work. Just be sure to follow proper food safety regulations and don’t let it sit out for longer than 2 hours without being on an ice pack. Alright, now you have it! It’s time for me to go bite into this Peanut Butter Parfait now… join me? 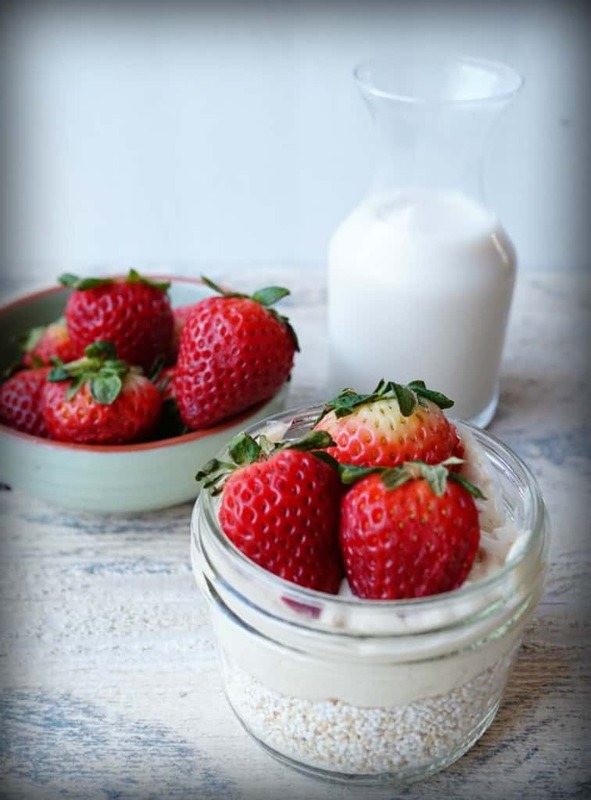 Switch up your breakfast routine with this protein powerhouse parfait! In a small bowl combine Greek yogurt and powdered peanut butter. 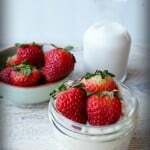 In a small jar or bowl, layer parfait with amaranth, yogurt and top with fresh fruit. If you prefer a full fat or alternative nut butter, go ahead and use that too! I hope you enjoy this as much as I did. I love the strawberry flavor because it reminds me of a PB & J; the ultimate breakfast delight! What fruit would you top this Peanut Butter Parfait to make it YOUR ULTIMATE delight?! « Wind Down Wednesday: How I spend my day! This sounds so good and SIMPLE! I’ve never tried amaranth, looks like it’s time to start. Trust me Lauren, once you do, you’ll be in love!! Love me some amaranth!!! Such a lovely little grain! Totally agree Rebecca- so great! What a delicious breakfast! Looks wonderful! What a fun idea! And, congrats on winning the Instagram contest-you rock Liz!!! Looks like an amazing breakfast idea! I bought some amaranth a few weeks ago with the hope to do something with it, but haven’t had the chance yet- I think this is the recipe! Can’t wait to make this Liz! Oh you will love it! Just be prepared to pop it if you didn’t buy the puffed version. I have yet to “puff” my own, so I will definitely hope you make a video if you do! SO agree with you on that! I mean it’s a classic, but come on, live a little! Liz, this is really breakfast perfection for me! 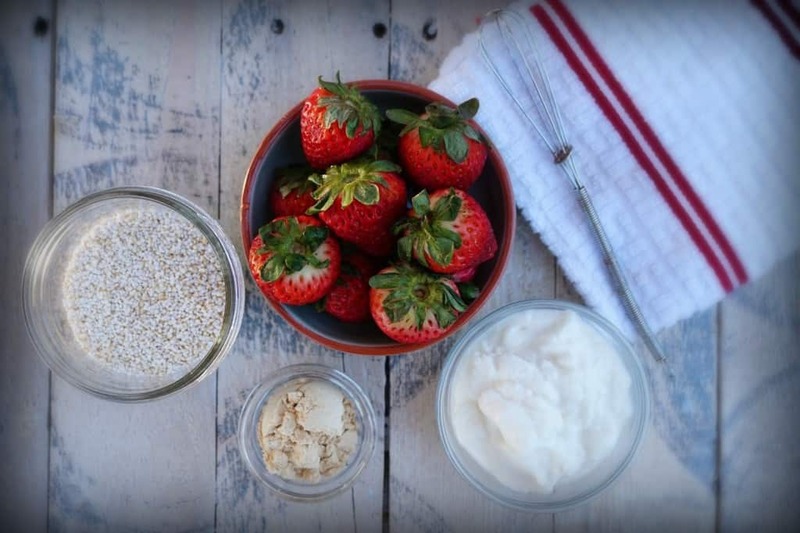 4 awesome ingredients coming together to make one amazing dish- I love it! I really need to try amaranth and this looks like a great way to start – I’ve never found anything with PB I don’t like! Oh yes, chocolate chips are GREAT in these! I added a few too, and with some sliced bananas- yum!